Speaking of Yellow – My Favorite Road Sign in Costa Rica – KeaPOD 151 | KeaNeato! 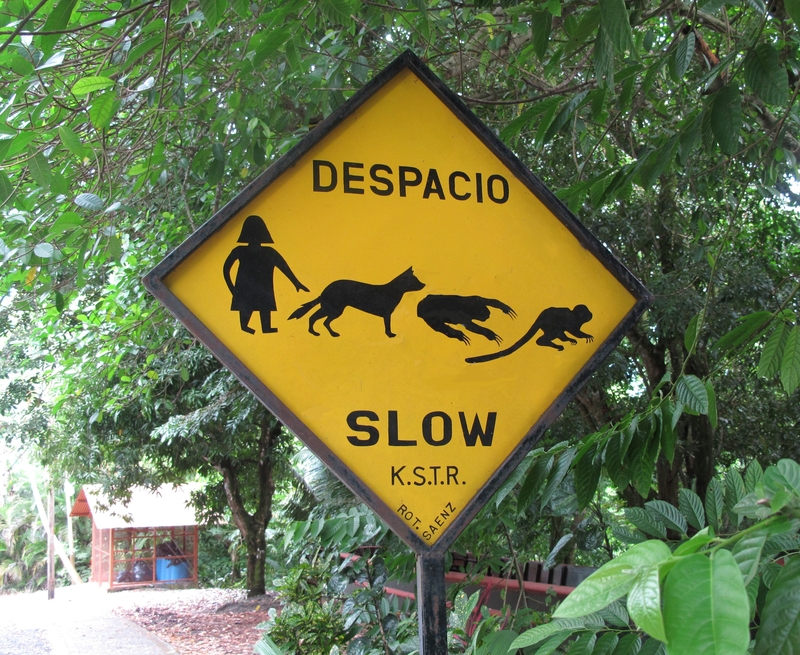 My favorite roadside sign in Costa Rica shows a person, a dog, a sloth, and a squirrel monkey and advises folks to slow down while driving from Quepos to Manuel Antonio. Photo by keagiles. This entry was posted in fun, POD (picture of the day) and tagged Costa Rica, despacio, monkey, sloth, slow. Bookmark the permalink.